One of the most blessed things about the gospel is the transformation that it brings to us. And one of the most challenging things about the gospel is how many Christians find authentic and sustainable change elusive. I’m going to walk you through eight sequential steps to long-term and effective change. But before I do that I want to address two critical stumbling blocks that commonly interfere with the Christian’s hope for change. One of the healthiest perspectives that you can have about your life is your weaknesses, imperfections, and faults. I realize what I just said flies in the face of the long-standing cultural worldview that teaches the path to freedom is through the doors of self-actualization and self-esteem. The pursuit of self-actualization and high self-esteem are at the heart of the American psyche. There is probably not another culture in the world that has a more elevated view of themselves than Americans, though all “Adamic people” think highly of themselves. Self-esteem is the call to esteem yourself as being something special (Philippians 2:3-4). That thought, when practicalized, is supposed to be the “secret sauce” that unlocks the door to your best life now. The biblical record could not be more antithetical to the self-esteem gospel (Romans 3:10-12). The message of the Bible is that even though God made us in His image (Genesis 1:27), we chose to taint that image (Genesis 3:7; Romans 5:12) to the point where we are corrupt entirely (Jeremiah 17:9). The theological term for our condition is “total depravity.” We are pathetically and irreparably broken. That is who we are before regeneration, and as odd as it may seem, that perspective is the perfect beginning of your best life now. To know and affirm that you are without hope, separated from salvation, and entirely unable to change how you are is one of the most significant self-reflective thoughts that you could make about yourself. It is true that our culture knows they need deliverance from something. Where we disagree is the path and method that brings liberation. The culture prefers to pursue personal “god-ness,” as though being autonomous and self-reliant are the ways to their best lives now (Genesis 11:4; John 14:6). The biblical record could not disagree more. The path to success (Joshua 1:8) is through death, not life (Matthew 16:24). Being aware of the need for deliverance is a good start, but it will be a dead-end and disappointing road if your deliverer is not the Lord Jesus (Proverbs 14:12). Self-Reflection: As you think about your life, what has been your primary means of saving yourself from yourself? Are you an adherent to the self-esteem gospel or would you characterize yourself as a practitioner of the gospel-centered life, which says, in part, that you are depraved entirely? A great way to answer those questions is by how you respond to this one: Are you free enough to be vulnerable, transparent, and honest about who you are? The death of Christ is the loudest proclamation ever made about our pathetic-ness, and with the worst thing that could be said about you already broadcasted to the world, you no longer have to pretend you are somebody that you are not–a worldview that is at the heart of the self-esteem movement. If your ultimate goal is to be safe, secure, and free from all present and future harm, there is only one way to find such freedom: God is your Deliverer. Your methods for deliverance have never been able to hold water for long (Jeremiah 2:13). Principles, inspiring quotes, and a bucket-load of good habits will not save you. 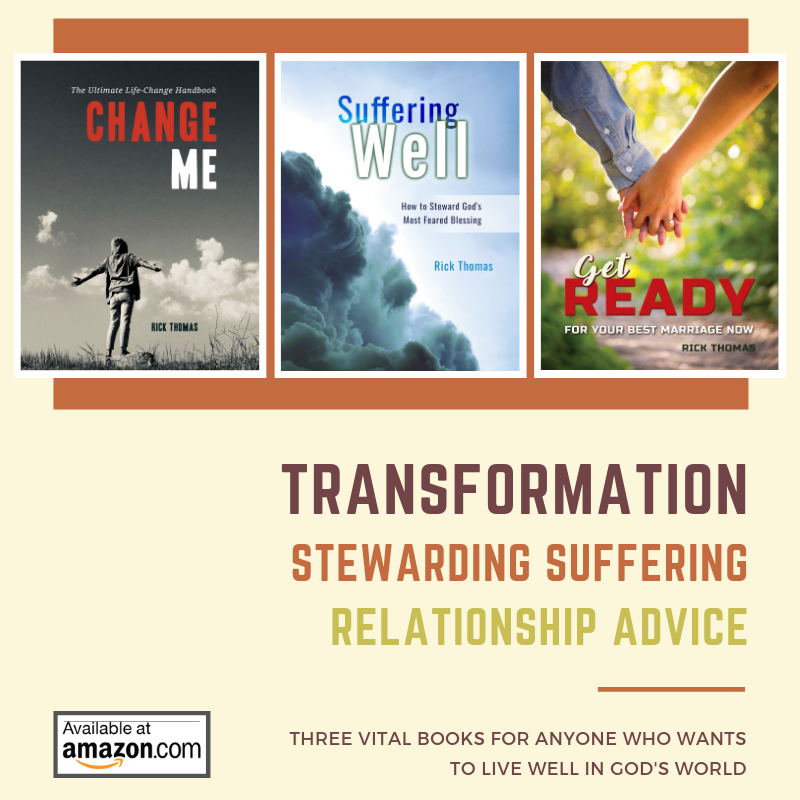 Though you can have temporary relief and even short-term behavioral change through worldly wisdom, transformation into a new creation does not happen without the empowering and transformative work of God in your life (2 Corinthians 5:17). The requirement is on you to relinquish your rights to yourself while asking the Lord to do what you absolutely cannot do under your strength (2 Corinthians 4:7) and wisdom (1 Corinthians 1:18-25). Continuation down a path of self-reliance, self-serving, and self-preservation is a march into a more profound darkness that will further entangle you into enslaving habits of the mind and body. They buy clothes to present themselves in a way that they want folks to see them. They watch their “likes” on their favorite social media sites because they crave acceptance. They disguise who they are while ignoring the real truth about themselves because the culture tells them that it’s unhealthy to their psyches to think otherwise. They carefully script their lives into an image for public consumption, hoping that imitation garners appreciation. If an individual persists in these practices, they will form strongholds that will be almost impossible to defeat. That plan and path to freedom is not freedom at all; it’s a life sentence with no chance of rescue. Only God can set the captive free. Do you believe that you are broken and entirely unable to help yourself? Do you think that you need God to change you? Do you think that all the self-help and self-esteem in the world will not transform you from the inside out? If you believe these things are accurate, you’re on the right path–a path that begins with the grace of God, which is the unmerited means that escorts you to the starting blocks of change. I have eight steps that will help you change your life. The best way to work through these steps is with a trusted and competent friend. The questions with each step are brutally honest, no doubt, but if you’re serious about change, you’re ready. Step #1 is grace–God’s unearned favor in your life. Are you indeed at the end of yourself (Luke 15:17)? Do you believe you are worthless (Romans 3:12)? Step #2 is the gospel–God’s power to bring change to your life. Are you convinced that only God can change you? Are you willing to allow Him to have His way with you? Step #3 is humility–the fertile ground upon which the gospel will do its work. Are you broken enough to be vulnerable? Are you broken enough to be transparent? Step #4 is discernment–the ability to perceive the real truth about yourself. Do you know the real you, the whole truth about yourself? Are you willing to confess the whole truth about yourself? Step #5 is obedience–the desire to follow through with the Spirit’s illuminating instructions. Are you willing to act on whatever it takes to change? Are you willing to revisit your obedience every day? Step #6 is perseverance–the grace-empowerment to stay the course. Will you secure help from your friends so you can stay the course? Will you hold them accountable to hold you accountable to the process? Step #7 is gratitude–the heart that cannot be silent about God’s good work. Will you make a gratitude list and add to it each day? Will you share with one other person what the Lord is doing in your life? Step #8 is exportation–the person who wants others to know, feel, and experience a similar transformation. Will you ask the Father to bring at least one person to you so you can disciple them? Will you begin helping them to experience what you are experiencing?